8th August 2016 was the date the Employee Provident Funds (EPF) in Malaysia announced the opening of its registration counters to move t he existing funds into Shariah-compliant Employee Provident funds. The response was monumental where people came to line up to register since 7 am and lines can be seen snaking out of the offices. People had to come personally to sign the conversion form (which includes Agency appointments as part of the Aqad) and agree to the terms. There’s great relief that finally there is a Shariah compliant fund for contributors, although it will not happen immediately. Conversion starts 1 January 2017. As to date, about 45,000 people have signed the conversion. But many questions still arise from whether EPF will really pull it off. As usual, the suspicions and sarcasms arise on the whole process of “complying with Shariah” and what is required. The common questions are whether they have the infrastructure to manage such a big fund in an Islamic market which is perceived to be not that huge. Can it support the whole fund, or will any excess funds not invested in Islamic instruments “flow” back to the mixed market? I am sure EPF have able fund managers. But I am surprised to hear questions whether EPF is really going “Islamic” or just another ploy to hoodwink the public. Questions such as, do they really know which company is Shariah compliant, are the Shariah Advisors reliable, do they just advice or do they have any authority or power to influence the investment strategies of EPF to comply. Can we trust them? Before I write further, I have to say that the Shariah Advisory Committee of EPF consist of 5 heavyweights in the industry. Dr Aznan, Dr Akram, Dr Zahar, Dr Engku and Dr Kamaruzaman. Someone implied that they will eventually cave in to organisational pressure when “tough investment decisions” have to be made, but this comment do not fully appreciate the role of SAC in any Islamic Financial institutions. The SAC has a huge responsibility to ensure the operations of the funds are Shariah compliant, the income is Shariah compliant, and the distribution of dividends are Shariah compliant. Consistently. Continuously. Automatically. 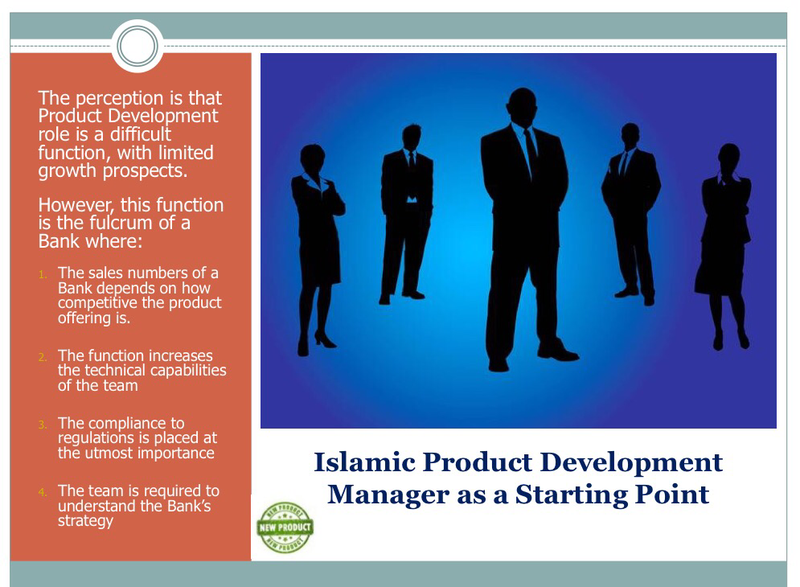 So what is the process that usually happens in an Islamic Financial Institution (IFI)? How influential are the SAC to the operations of an IFI? I cannot fully vouch for EPF but the governance framework should be consistent throughout the industry. The following is what usually happens in the process of determining Shariah compliance investments for EPF to enter into, and the control processes to ensure it remains Shairah compliant. Shariah Compliant Investment Selection, Deployment, and Dividend Distribution. The IFI first start identifying Shariah compliant counters, companies and investments that meets the criteria set by the SAC. 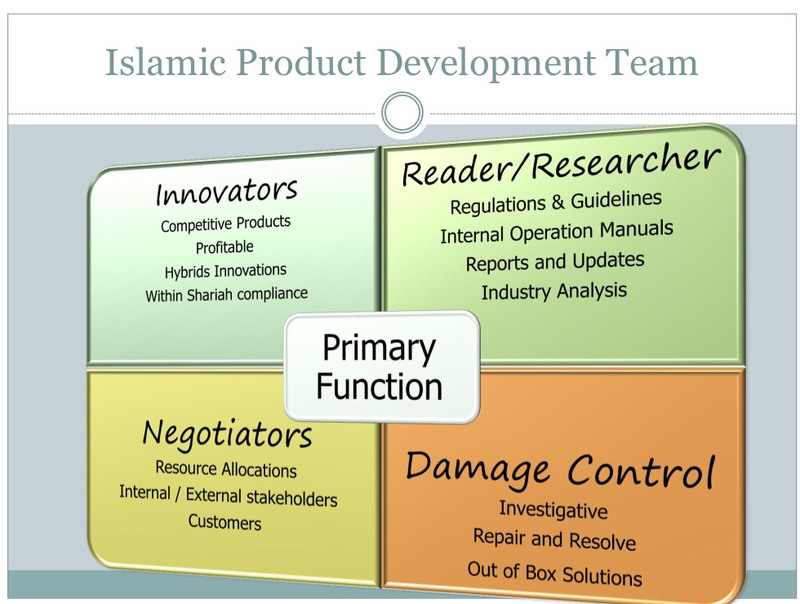 There are several benchmark in the market that guides these criteria such as the Securities Commission criteria for Shariah Compliant Companies, BNM listing of Shariah Prohibited Activities, or even using the Accepted Bills-i which lists non-Shariah compliant goods (if a company trades in these goods). Based on the above, the benchmark of what is acceptable is decided by SAC. Deliberated and discussed. SAC will also decide whether to follow market benchmark or adopt a more stricter stance than the market. For mixed counters or companies, SAC will also decide on an acceptable benchmarks. For example, companies which has more than 5% clearly non-Shariah compliant activities are excluded from the “approved” listing. If the activities are not clearly identifiable, the “unidentifiable” activities should not be more than 20% of all the company’s activities. Different IFI adopts different benchmarks. Looking at EPF SAC, it is likely the benchmarks are stricter. An Investment Mandate, based on the rules defined by SAC above is then formulated to outline the type of acceptable counters/companies/investment, the deployment strategy, the monitoring and reporting requirements, escalation processes, calculation and declaration of income, distribution of dividends and finally the financial disclosures. The Investment Mandate should be guiding instructions for Treasury to follow in managing the funds. Based on the mandate, Treasury finds the companies/counters/investments that meet the criteria and manage the funds accordingly. The list of the investments / companies are reviewed regularly to ensure they still remain as Shariah compliant throughout the investment period. Any companies that fall out of the criteria will be removed from the lists. Any non-compliant incidences will be escalated to the SAC. On an interim basis, Internal Audit (reporting to Board of Directors) and Shariah Review (reporting to SAC) will do their periodic audits to ensure that the Shariah parameters are always met and adhered to. Any incidences of non-Shariah compliant investments will be tabled to SAC for a decision. The decision will be whether to exit the investment, make rectification, or worse case scenario, deem the investment non-Compliant and remove the dividends received from the pool and pay them out to charity. At the end of the investment period (declaration dates), the SAC will look at the financial results, the investments made, the exclusion of non-Shariah compliant income/dividend, and overall operations of the funds. Once satisfied, the SAC signs off and income/dividend may then be distributed. In short, the SAC not only outline the mandate for Shariah compliant investments, they are also responsible in the various aspects of the management of the funds to ensure what is paid out are “clean” dividends not tarnished by non-Shariah compliant components. There is a huge responsibility for the SAC towards the general public who rely on them to formulate the right investment mandate for them. I don’t envy such position; the burden is great but I have to say EPF had it right by appointing such heavyweights to their SAC. 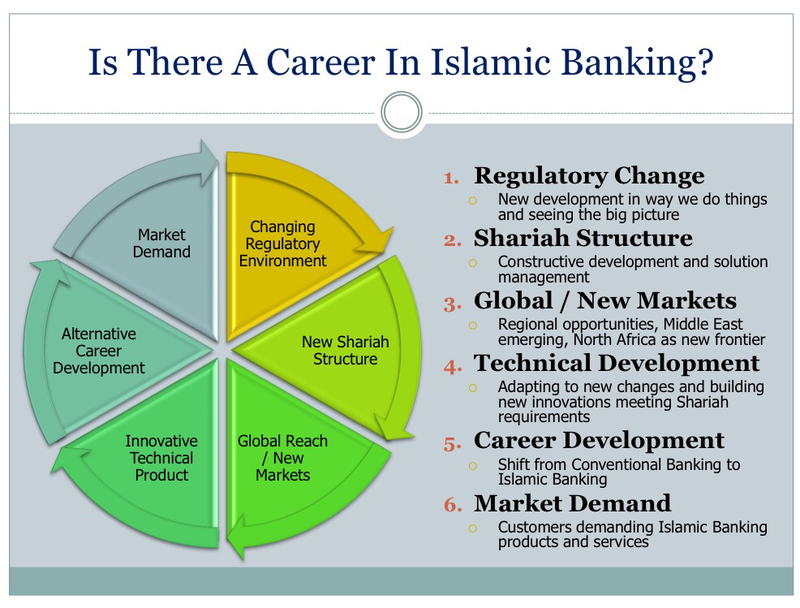 It is reaching the end of the year and I thought it will be good to have a quick look on how many Islamic Banking contracts that we have in and around the industry. Granted, I might miss some of the contracts as there are many banks offering hybrids nowadays. I do apologise for such shortfall, and will endeavour to update this chart as often as possible, should there be some interesting and new contracts being introduced in the Islamic Banking industry. These types of contracts are typically unilateral in nature where the contracts do not require mutual consent to be applied. It is just a one-way arrangement where one party provides a product or service based on mandates or scope of work and is at discretion to vary the terms without requiring the other party to specifically accept the changes. For example, the Hibah contract (Gift). One party provides the gift, and the other party receives the gift. It should be on a unilateral / discretionary basis by it not being “promissory”. Another example is the contract of Qard (Loan). One party lends money to the other party, and the other party (borrower) undertakes to pay back the loan (original amount) when required by the lending party, without any expectation of additional return. But the other party (borrower) can pay more than the original amount (by way of Gift) but is not obliged to, and such additional gift do not require the borrower to obtain “consent” from the lender to be given. It is simply the payment of the loan, and any other gift (which is not obligatory). Such “gifts” avoid the definition of Riba’ by being not promissory. Under gratuitous contracts, the Aqad is not greatly necessary (it being unilateral) but it will be ideal for all parties if an Aqad can be concluded upon. Trading or transactional contracts are debt-based contracts. Very similar in nature and intention to a conventional loan, but requires specific Islamic contract to be perfectly executed to avoid riba’. Such contracts greatly involves the participation of 2 parties (sometimes 3 or multiple parties) and there is a defined Aqad executed to finalised the terms and conditions to the contract. These terms are to be defined and agreed upon within the Ijab/Qabul period for all parties to accept. Once accepted, any proposed further changes captured in the Aqad must be accepted by all parties by mutual consent. A common example will be a Murabaha financing transaction, where the terms and conditions are agreed up-front in a bilateral agreement. A purchase price is discussed, together with the profit amount, selling price and the settlement tenure. Ownership of the asset (used as an underlying asset for the Murabaha) is also moved between the parties, and transactional sequence is observed. Any changes that is proposed outside the Aqad majlis will require approval and consent by all parties. A Leasing contract is also deemed a bilateral contract although the owner of the asset has the right to unilaterally increase or revise the rental amount of the asset under hire / rental, the person who lease that asset will also have a right to remain in or exit out of the leasing arrangement, thus making it bilateral (where there is also a material change in the terms and conditions. The perfection of Aqad holds great importance to Transactional Contracts to ensure the validity of the transactions. These types of contracts deals more on equity and corresponding returns in the subject matter. It follows the concept of investment where such equity-based structures takes on the risks of the investments, and concentrate on the concept of entrepreneurship and risk-sharing. In such contracts, where there is an element of trust, bilateral arrangements are strictly adhered to. Changes to the terms and conditions requires explicit consent especially from the party that is in a disadvantageous position. The most popular of these contracts is the Mudharabah, which is used in many depository products. However, although this is technically a deposit, these deposits must be utilised or deployed into economic transaction for the purpose of generating a return on the capital i.e. in this case, the Mudharabah deposit. Once profit is recognised (if ever…) then the profit must be distributed to the customers based on the agreed Mudharabah profit sharing ratios. The Bank, usually acting as a Mudharib (fund manager / entrepreneur) , will behave as a pure entrepreneur with the customer (as Rab Ul Mal), acting as the fund provider with the possibility that the investments is not up-to-market returns which can result in both loss in profit and loss of principal (principal not guaranteed). Another example. Under a Musharakah structure, there is even more defined roles that the all parties must take and agree under a bilateral arrangement. With Musharakah, each party will be required to contribute equity (or capital) and even contribute expertise into the partnership venture to ensure profit can be made. All terms and conditions are captured as part of the important Aqad. Any profits declared will be shared according to equity ratio or agreed profit sharing ratio, and any losses shall also be shared amongst partners, usually based on equity ratio or equity contribution. Supporting contracts are often important because they act to complete many aspects of services, products and banking. Many supporting contracts are created to cater mostly for specific situation and most of it requires proper Aqad as well. Such contracts are also considered a facility to provide specific outcomes for the customer. It also falls into a bilateral arrangement. Contractual Arrangement are not necessarily contracts on its own, but can be construed as a combination of contracts to achieve a certain objective. The arrangement itself is not legally binding, but what is inside those arrangements are usually standalone valid Islamic Banking contracts. Take for example the contractual arrangement of Tawarruq. 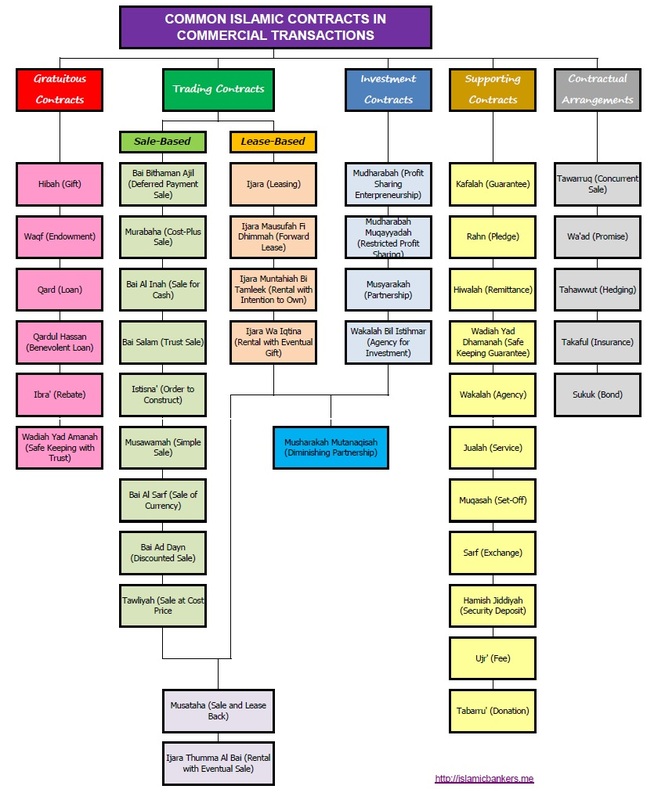 Inside a Tawarruq arrangement, it consists of several standalone Islamic Banking contracts. Firstly there is the contract of Wakalah (Agency) to purchase the commodities on behalf of the transacting party. 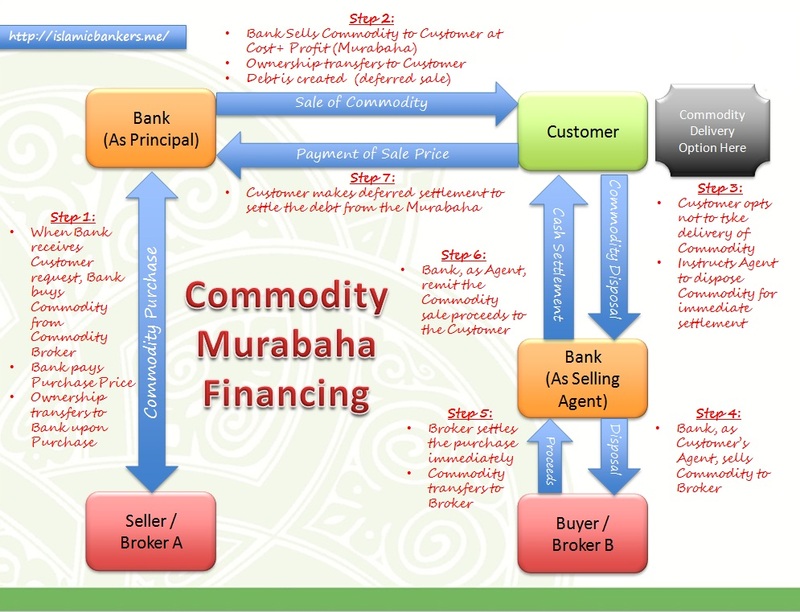 Secondly, there is the contract of Commodity Murabahah where the commodities purchased will be sold at a Sale Price to the purchasing party. Once the Commodity ownership is transferred into the purchasing party, the purchasing party can make an offer to another party as a Musawamah (simple sale) to obtain the desired cash. Other contractual arrangement is the arrangement for Wa’ad (Promise) usually used for FX transactions. A Wa’ad itself is not binding, but it can be enforced upon certain events where eventually an exchange can be made (Sarf) or even a Commodity Murabahah is executed to deliver certain obligations. Again, these are not exhaustive list of contracts, and can easily be expanded in a short period of time. Innovations are done everyday, and it will be a matter of time until critical mass will push a contract to the forefront. I hope to keep updating this list more in the coming years.